NAPERVILLE, IL, UNITED STATES, August 1, 2018 /EINPresswire.com/ -- SystemDomain, Inc., a leading global information technology consulting services company, is pleased to announced that Shubhi Garg, CEO and President, SystemDomain being nominated for Prominent Woman in Tech, Technologist of the Year and CEO of the Year categories at City Lights of Illinois Technology Association (ITA) USA. Shubhi Garg is the President and CEO of SystemDomain, an IT Consulting firm based in IL with focus in Cyber Security & Risk Management, Digital, Cloud, Data Analytics and other Professional Services. She is responsible for managing the SDI business strategy including the company’s efforts in external and internal marketing, recruiting support, resource development and product management. Prior to joining SDI in 2013, she has worked for over ten years as a technology consultant in the Healthcare, Insurance, Banking, Retail and Food industries and worked as a Business Development Manager for IT Consulting firms. She has earned a Bachelor's degree in Science and a postgraduate diploma in Computer Science. 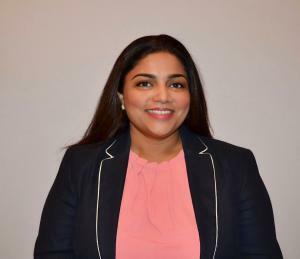 She believes in continuing the journey of learning and have earned professional certifications from The Tuck School of Business, Digital Excellence Program & The Wharton School, Marketing program. - CIO Applications: SystemDomain in Top 25 Cyber Security Companies 2018. - Gold Award the fastest growing Cyber Security Firm by Excellence Awards 2018. - Top 20 Most promising Cyber Security Solution Provider by Silicon India 2017. - DiversityBusiness.com’s (now OMNIKAL) OMNI500 Top Businesses for 2017. Under Shubhi Garg’s leadership SystemDomain had formed business relationship with more than 100 clients across utility, health care, banking and R&D organizations. She had developed a road map of the solution to mitigate the Cyber Risks for the enterprises. The solution was not a “one product fits all” but she identified the need to use several products for the different needs of her clients. She, along with her team did intensive research and played a key role in the evaluation of the leading products and solutions in Cyber Security. And formed the strategic alliances and partnership with world’s leading product companies in Cyberspace. Now SystemDomain provides end to end Cyber Security Solutions and professional services to address the Cyber Vulnerabilities and integrate Cyber Security solutions. In the last decade or so organizations are thriving in an increased world of networks across Internal Systems, Cloud Applications, and Interactions with its employees, vendors & partners. Many Security vulnerabilities in enterprise applications, external facing applications, physical and electronics access systems could endanger the organization’s security. This may impact the firm’s systems, employees, shareholders and its brand and market value. Due to the critical impact of Cyber breaches, Cyber Security made the top of CEOs and CIOs agenda. Giving this landscape, she recognized the need to provide the enterprises the cyber-security solutions as the organizations were concerned with risk in many of the areas of their businesses. This led to develop the state-of-the-art solutions in cybersecurity spanning across the enterprise such as secure software development, networks, enterprise Systems, and physical security. She drew the attention of Cybersecurity associations which have recently ranked SystemDomain as one of the top 20 most promising companies offering cyber security solutions. SystemDomain won the Gold Award as the fastest growing Cyber Security Firm for 2018 by Cyber Security Excellence Awards. SystemDomain’s Cyber Security and Risk Consulting practice is rapidly accelerating and implementing the state-of-the-art solutions for multiple use cases. ITA focuses on scaling Illinois tech companies. ITA provides the ecosystem and infrastructure to network with other similar-sized, fast-growing companies. ITA elevates the local community and make Illioins state the place for tech companies to Thrive.